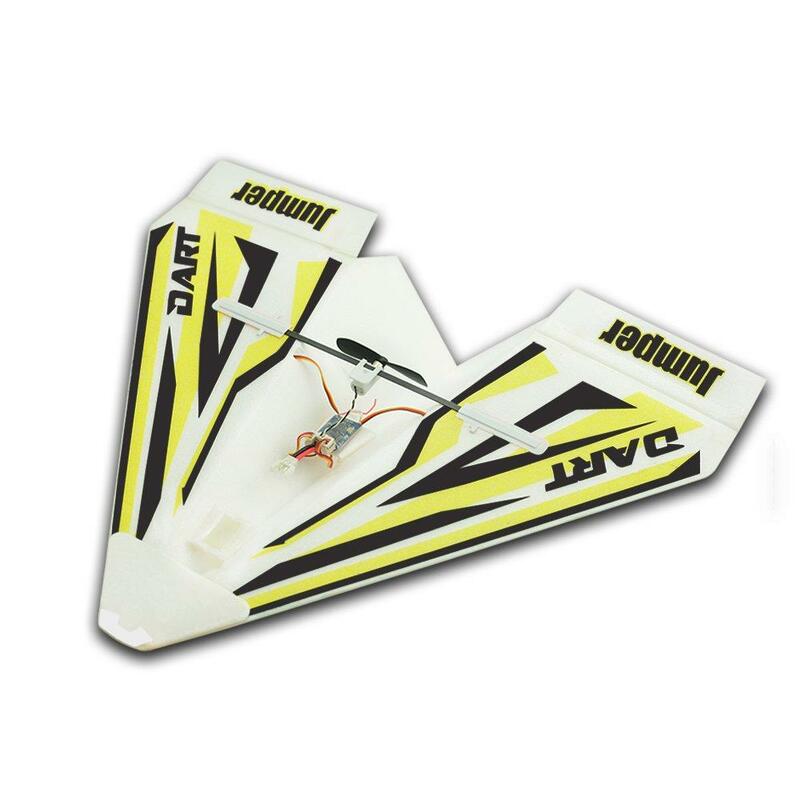 The ARF RC "Paper" Plane was imagined with Students and Hobbysts in mind thus the reduced size and flight space needing making it ideal for indoor stadiums and even classrooms. The flight performance is also very stable amd easy to learn with. Structural aspects: Jumper specially developed plastic parts, making the whole installation very precise and easy. 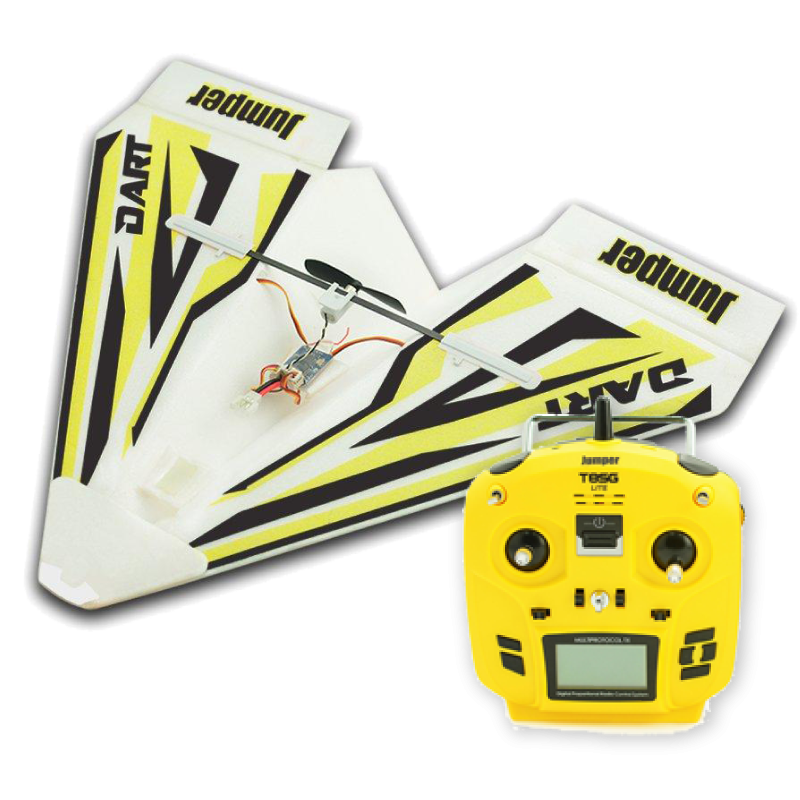 Electrical Components: Jumper specially developed and produced a miniature 4-channel receiver for the W280, and built-in 3A brushed ESC, with a miniature digital servo of 1.6g, making the aircraft more concise, light weight and stable in flight. Everything included apart from Radio (Ideal for T8SG Series). Great for Learning and Education classes. Safe and easy to fly. No soldering or dangerous assemble steps needed. Hardware: All hardware to build one model. 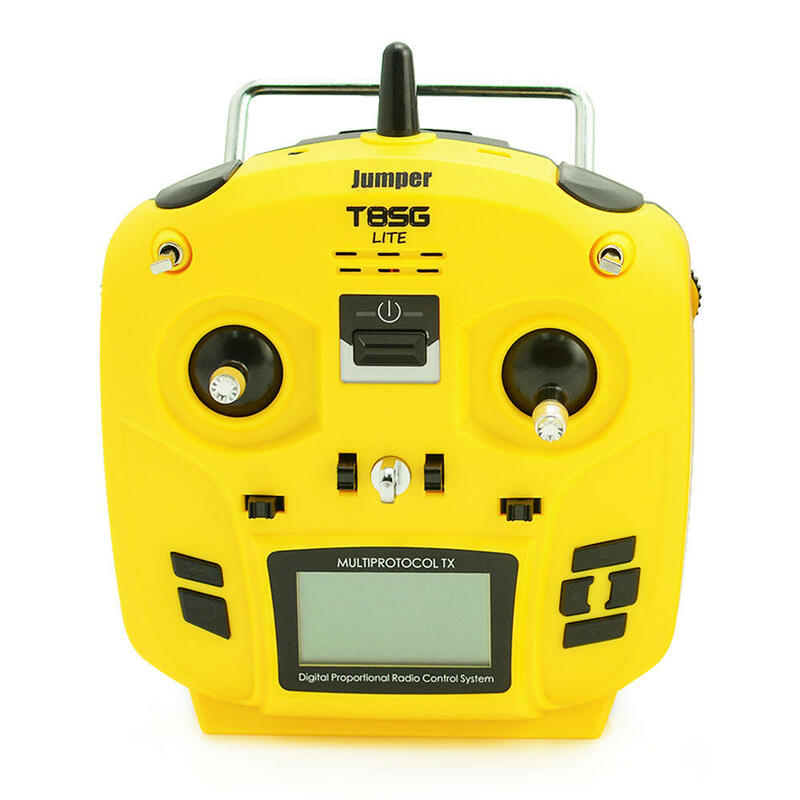 The latest addition to the Jumper T series of radios, the T8SG Lite features full range capabilities, 12ch output, FrSky And Futaba S-FHSS compatibility, DeviationTX Firmware, ultra low power consumption, USB Simulator function, Vibration alerts, Multi-language support, Telemetry support (receiver dependent) and more all in a compact form factor. Unlock the capabilities of your models with the extra range and programmability of the T8SG Lite!